What would United States Supreme Court opinions look like if key decisions on gender issues were written with a feminist perspective? 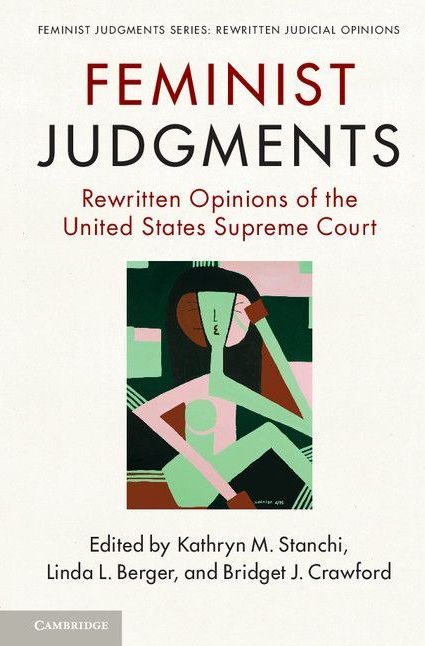 Feminist Judgments brings together a group of scholars and lawyers to rewrite, using feminist reasoning, the most significant US Supreme Court cases on gender from the 1800s to the present day. The 25 opinions in this volume demonstrate that judges with feminist viewpoints could have changed the course of the law. The rewritten decisions reveal that previously accepted judicial outcomes were not necessary or inevitable and demonstrate that feminist reasoning increases the judicial capacity for justice. Feminist Judgments opens a path for a long overdue discussion of the real impact of judicial diversity on the law as well as the influence of perspective on judging.